Now Shipping to Select International Locations! 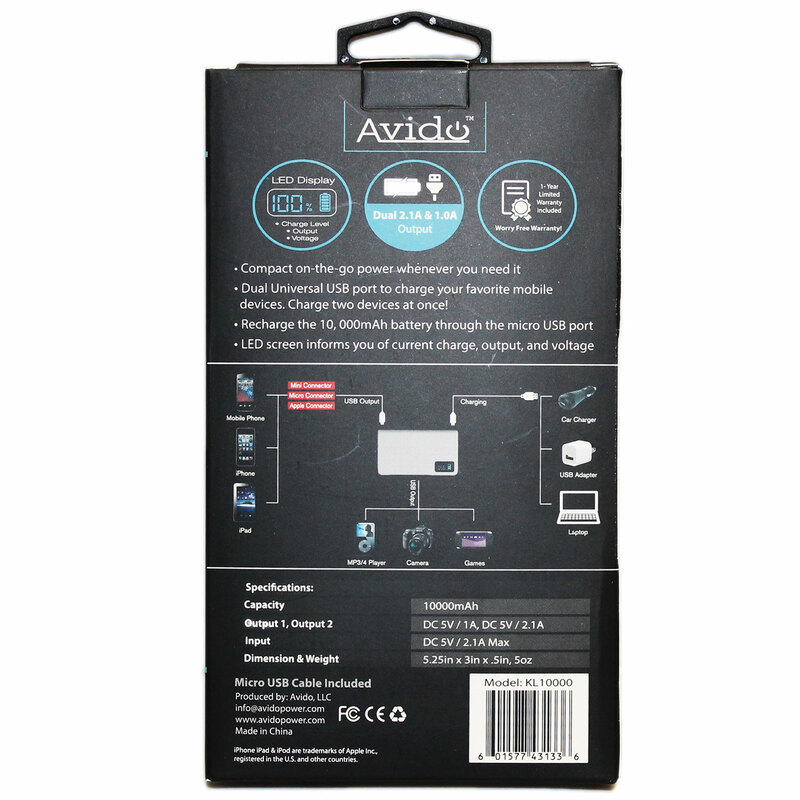 Avido Exclusive- Built-in LED screen informs you of current charge level, output amperage, and voltage. 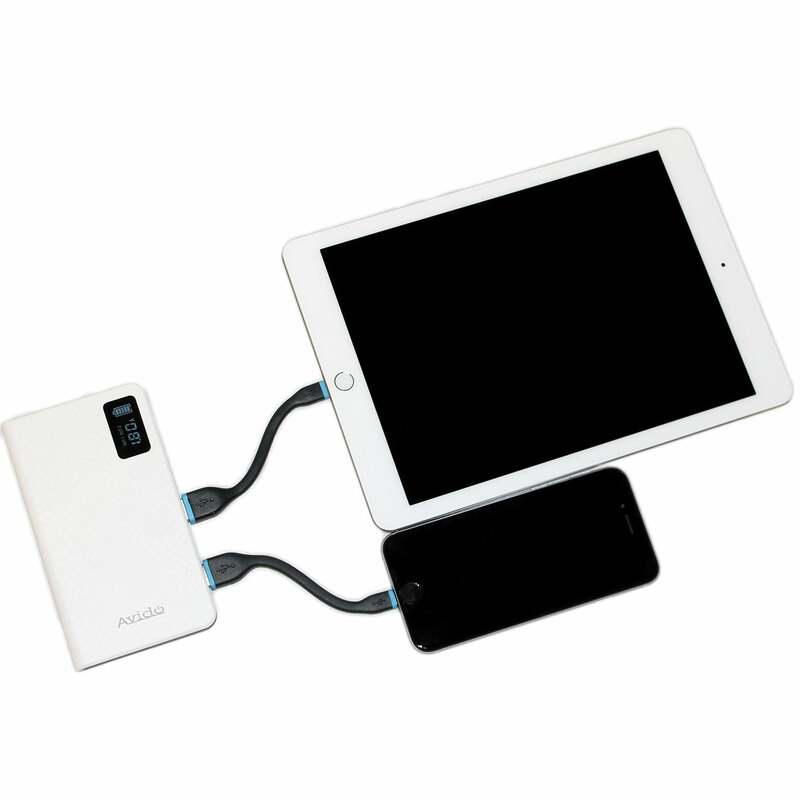 Dual USB Output (2.1A and 1.0A) can charge a tablet and phone at the same time! 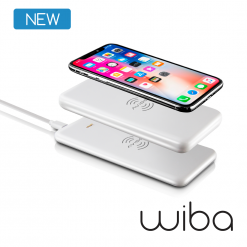 We’re taking power banks to the next level. 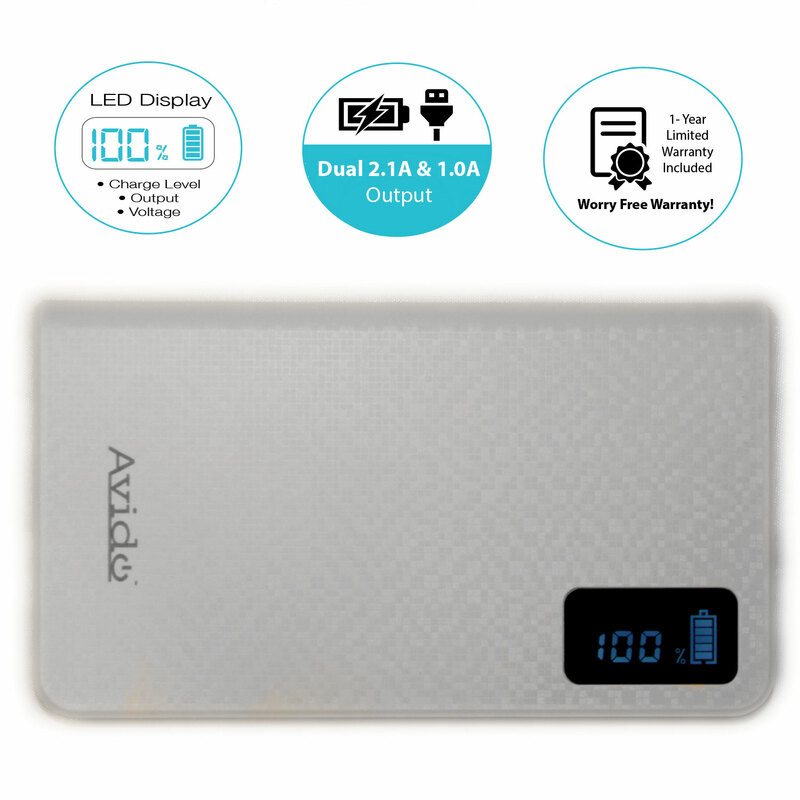 Introducing the Avido 10,000mAh Power Bank with our Exclusive LED Screen. 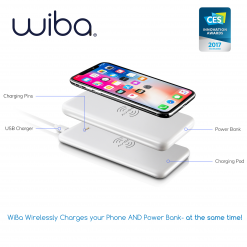 Get ready to see power in a new way. 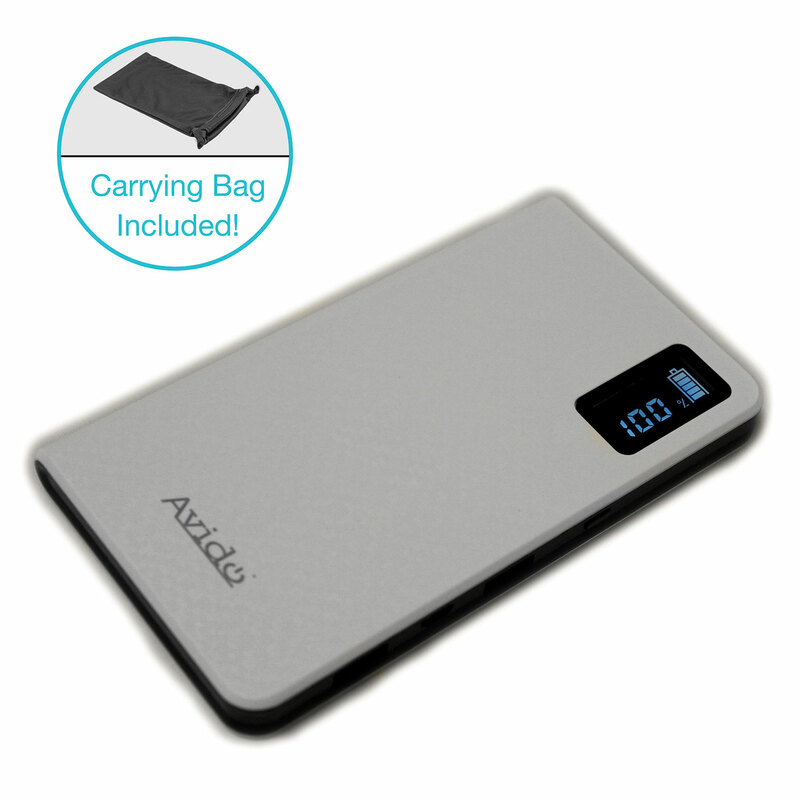 The Avido 10,000mAh packs a big punch in a small package, all with great new features. 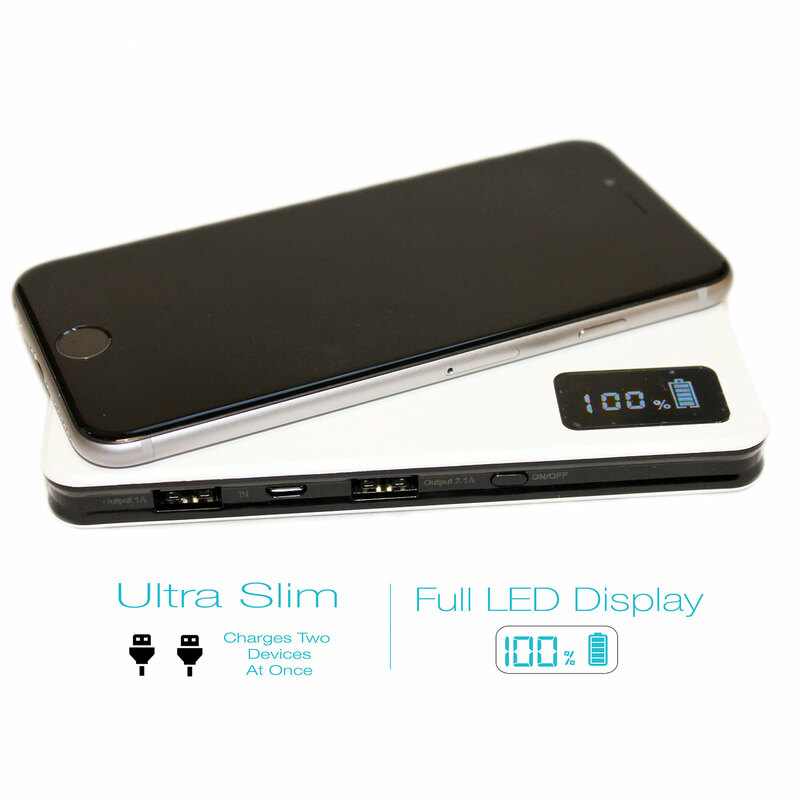 Now featuring our *EXCLUSIVE LED SCREEN*, you can always keep an eye on your charge. 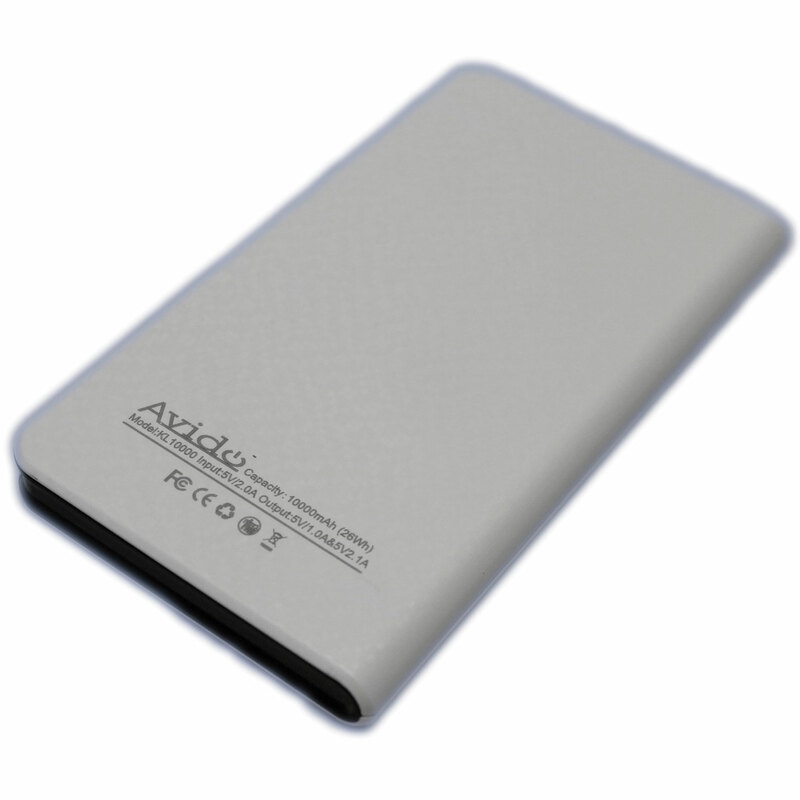 You won’t know how you went on without it! 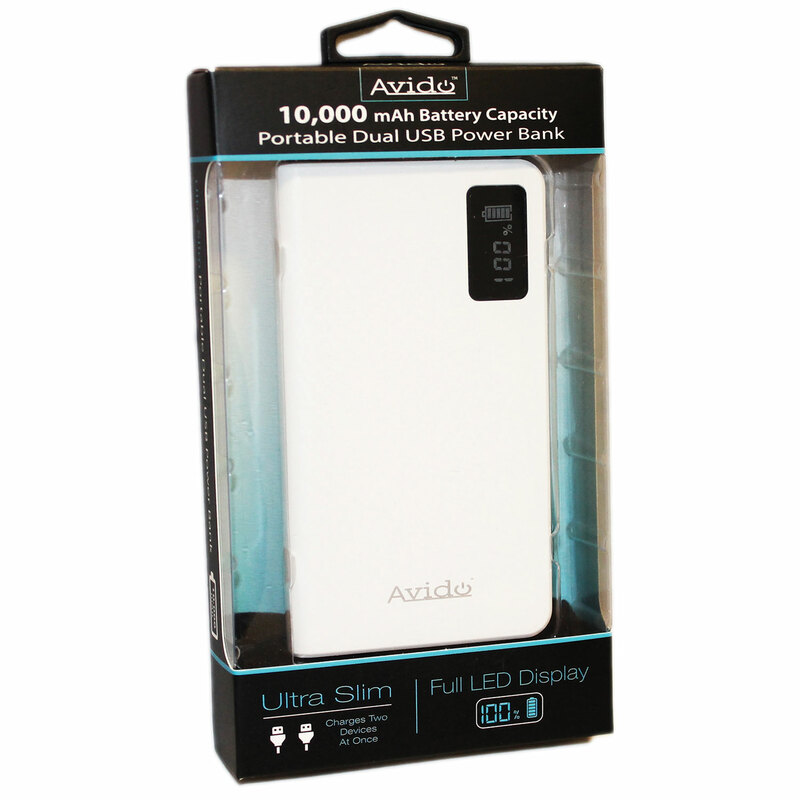 The Avido 10,000mAh built-in digital LED screen informs you of current charge level, output amperage, and voltage. You can continually cycle these settings by hitting the “On” button at anytime. 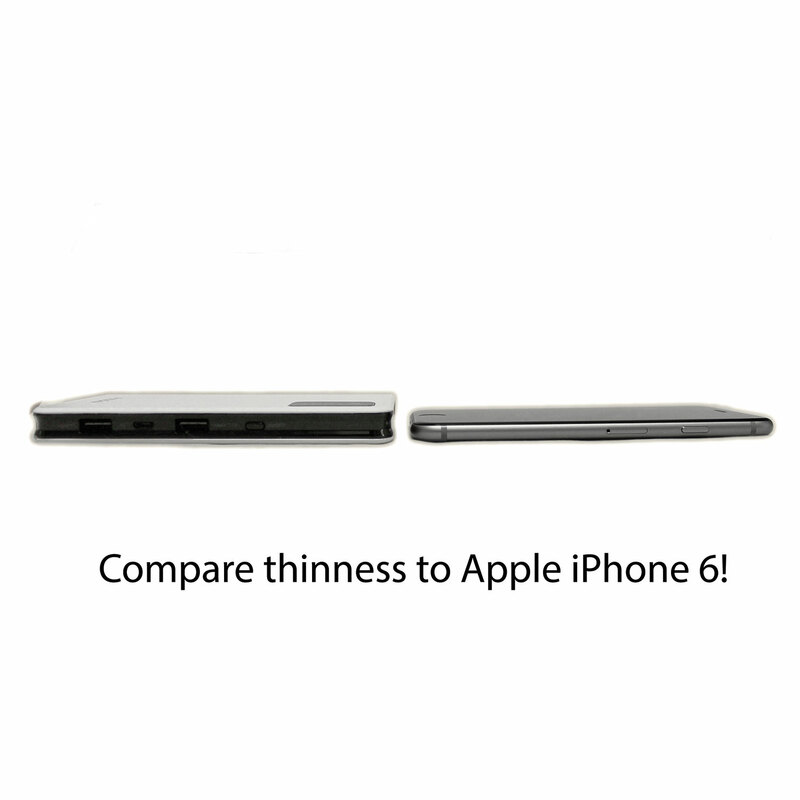 Engineered With You In Mind. 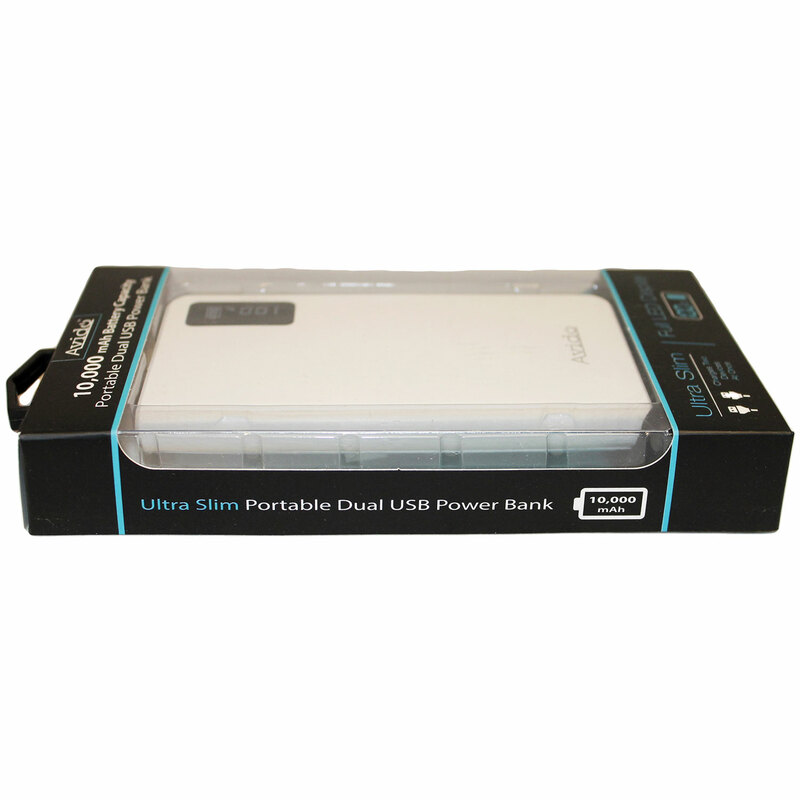 Who wants to wait around for their power bank to charge…not us. 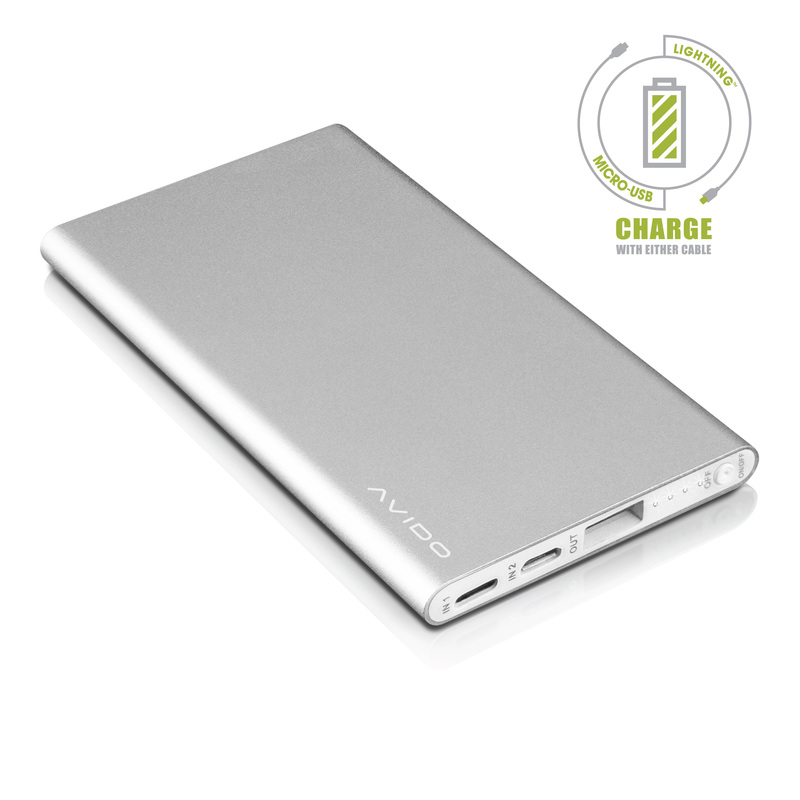 We turned charging to the next level with FastCharge technology. 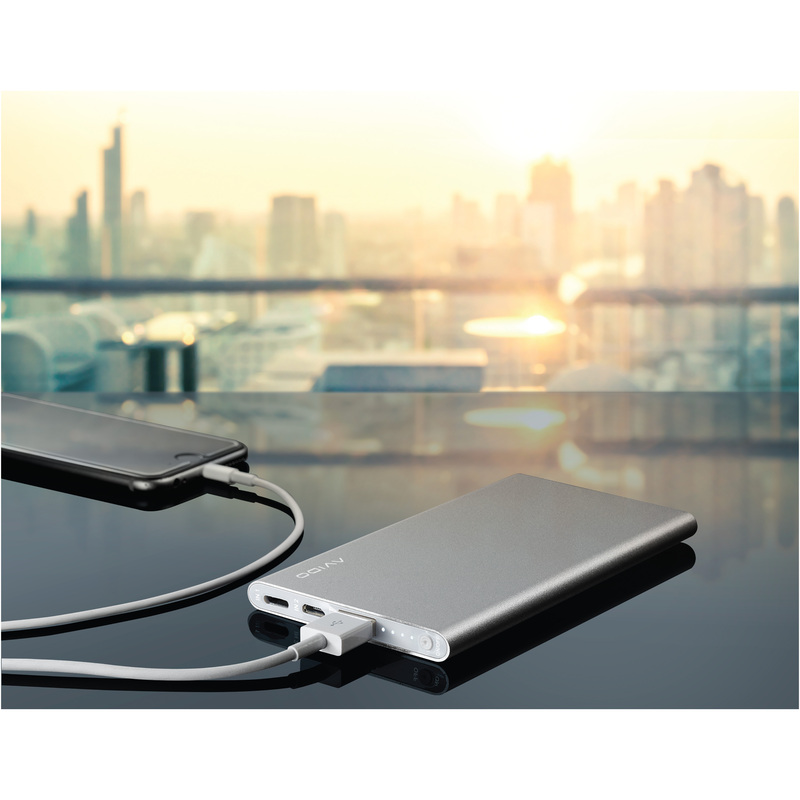 This allows you to charge the power bank itself at up to 2.0A input- 2x faster than traditional power banks. 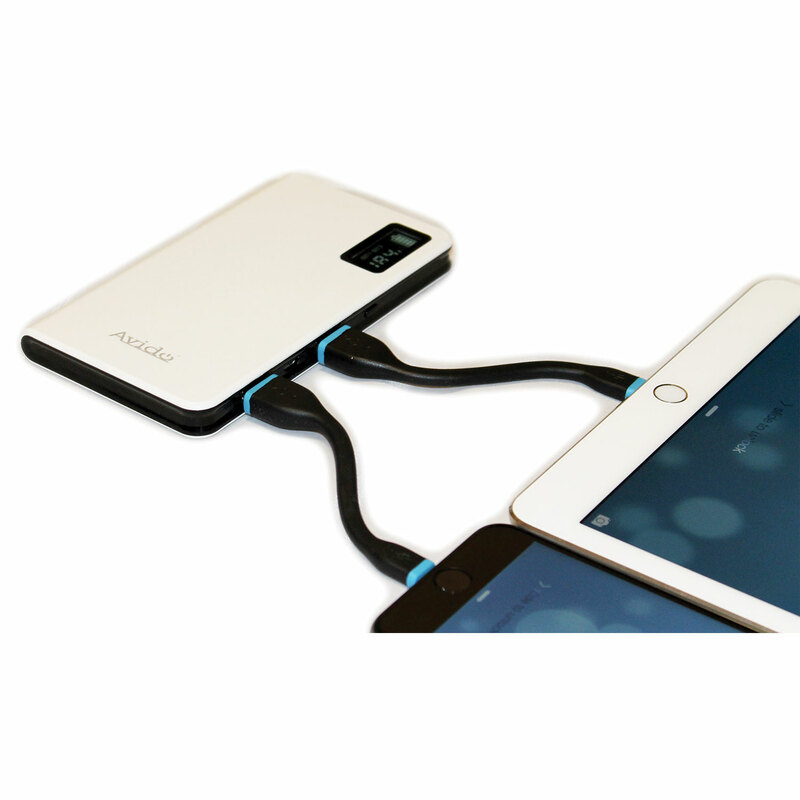 Charging Your Device Couldn’t Be Easier. We made it simple. 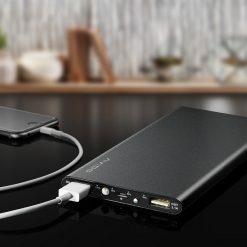 To charge your mobile device, just connect your USB cord(s) into one of the the external battery outputs, hit the “On” button, and you’re set. 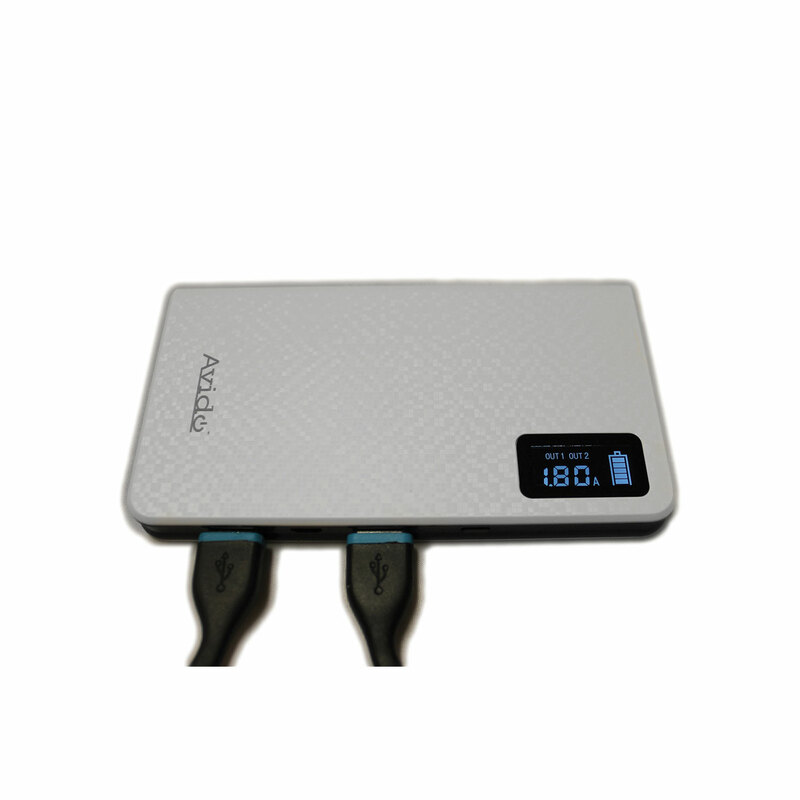 To turn off the power bank, simply disconnect the USB cable or devices, and the unit automatically powers down. It couldn’t be easier! Power…faster than you can imagine. 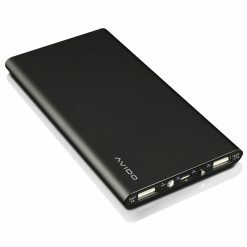 With dual output USB ports (2.1A & 1.0A), this power banks charges your USB devices faster than ever. 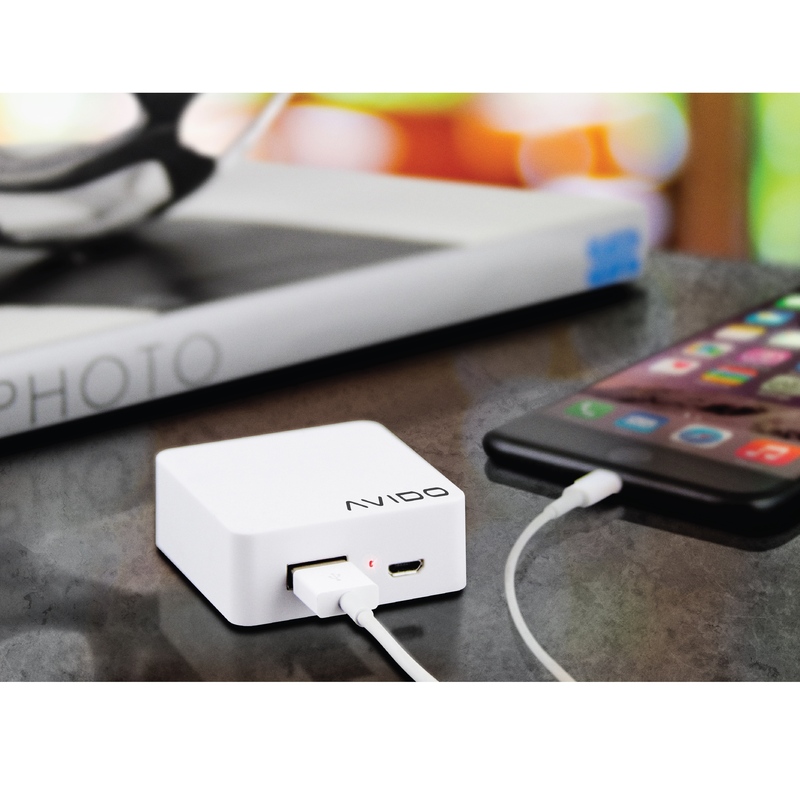 It may even charge faster than your wall outlet! 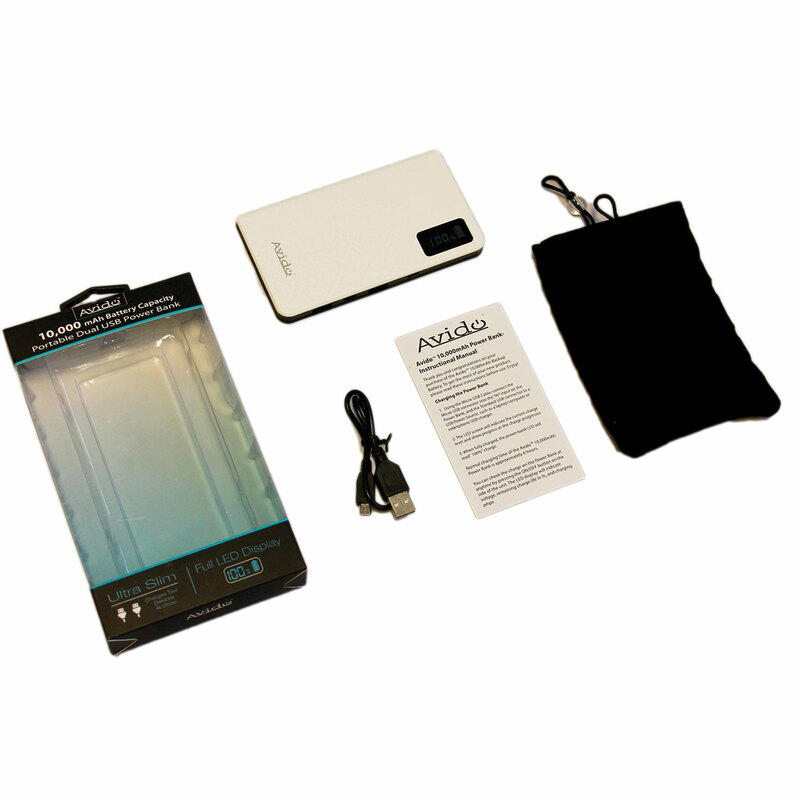 Avido 10,000mAh Power Bank, Micro USB Cable, Carrying Pouch, and Manual. Let's stay in touch. 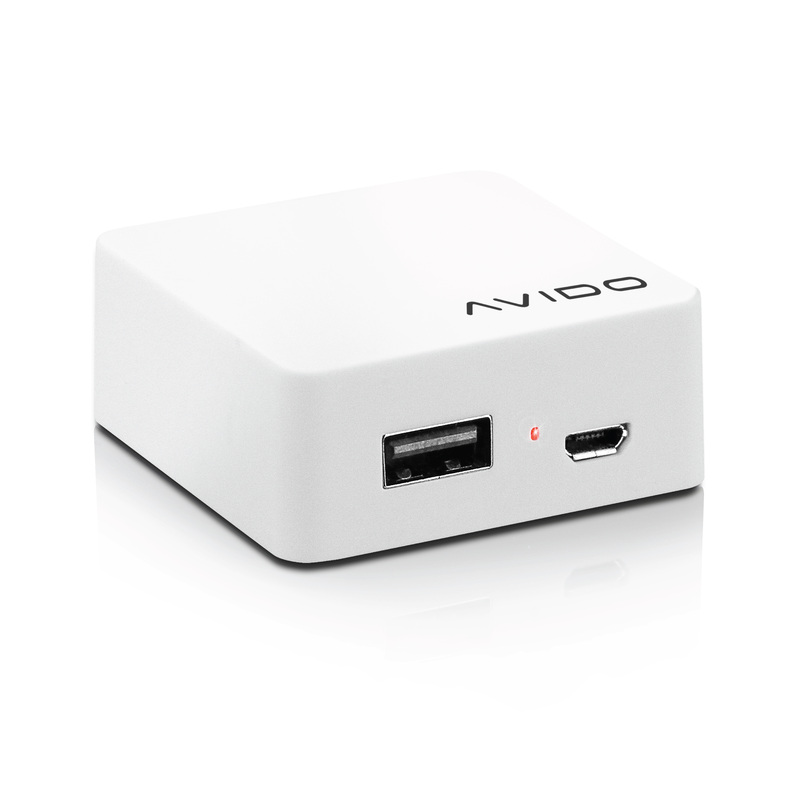 Sign up to receive the latest news from Avido directly in your inbox.